Check out our weather station! 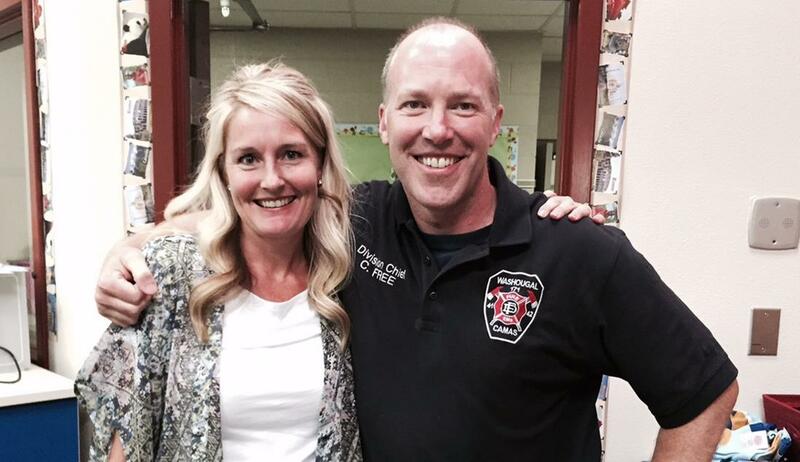 Kudos to Camas/Washougal Fire Division Chief, Cliff Free, who came to Dorothy Fox and trained our teachers on CPR and AED procedures. 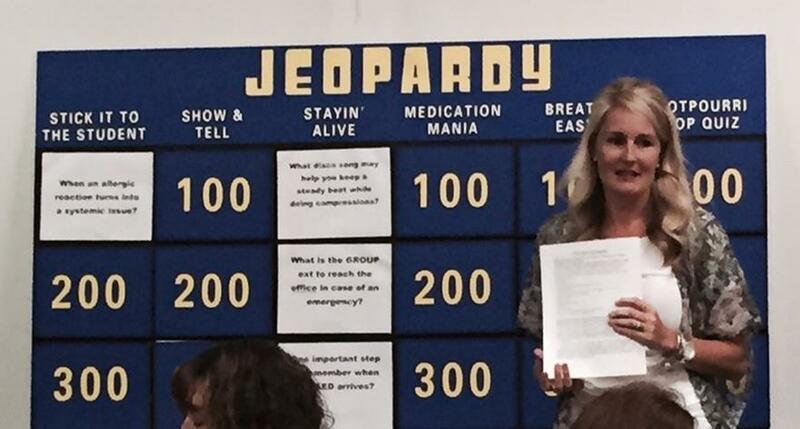 Thank you to our nurse, Karen Wight, who lead our teachers in an exciting game of Safety Jeopardy during our August In-service. 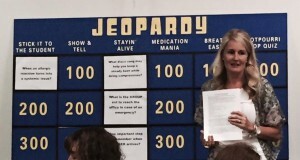 This activity helped teachers to receive up-to-date training in signs of allergic reaction, epipen use, choking, and other emergency response issues to make sure that we are ready to support our students with the safest school community possible. 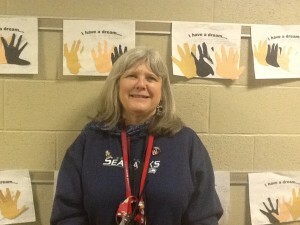 Mrs. Pierce is a Recess Supervisor at our school. 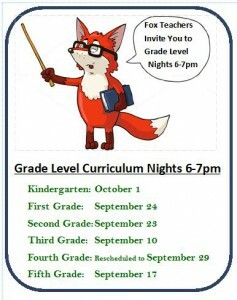 She has worked in education for over 20 years. When asked what the best part of her job is, she responded, “The kids are the best part. They are the best.” When Mrs. Pierce is not at school, she enjoys being with her grandson and also likes to attend garage sales. Her favorite movies are Michael and Urban Cowboy. Collecting replicas of Mickey Mouse and manatees are some of her favorite pasttimes. 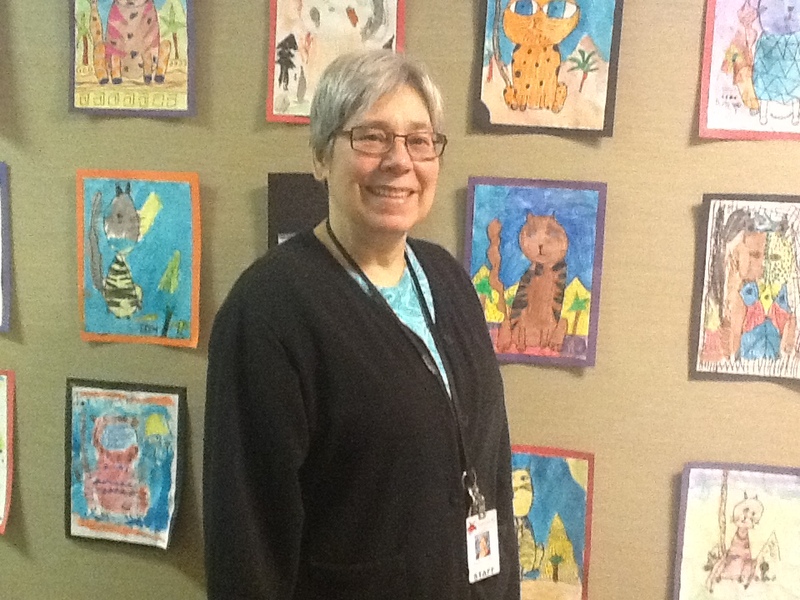 We are so glad she is a part of our school! 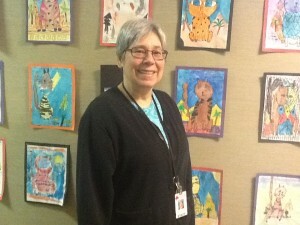 Ms. Cocklin has been an educator for over 20 years and her 1st grade students feel like she is “the best teacher in the whole wide world.” When Martha is at school, she enjoys meeting with her collegues over lunch. This gives her a chance to take a few deep breaths from her busy day. Not very many people know that Ms. Cocklin had an amazing childhood growing up in the country. She spent time climbing trees, building forts, riding horses and tubing in the Lewis River. She loves to spend her weekends reading, yoga-ing, walking or hiking with friends, and her dog. She recently read a book called, Dog On It by Spencer Quinn. It is a mystery story told from the point-of-view of the dog. 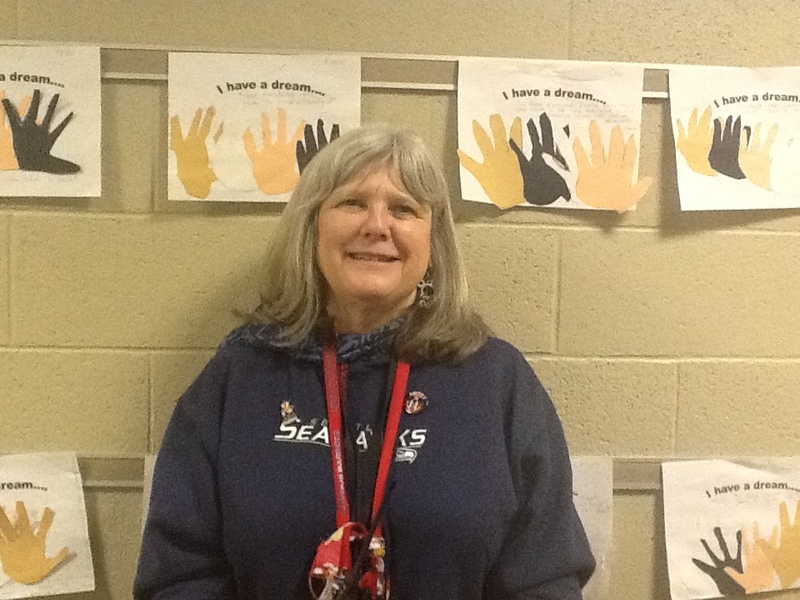 We are so glad that Ms. Cocklin is a part of our school staff!